On 14 August 2018, The Mekong Review published an essay I wrote about my search in the mid 90’s for Vietnamese writer Bao Ninh, author of The Sorrow of War. That essay, Looking for Bao Ninh, is reproduced below. I took my first trip to Southeast Asia in 1994. I went to Phnom Penh to volunteer, teaching trial advocacy skills for the Cambodian Defender Project. Showing up unannounced, I was told to come back a month later. So I headed north to Hanoi. Vietnam had opened its doors to foreign investment and tourism. It was an exuberant time, full of optimism. 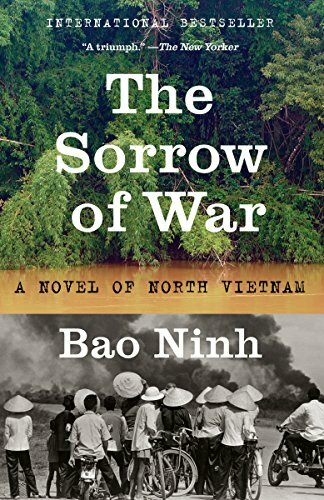 It was during this trip that I came across Bao Ninh’s novel The Sorrow of War. Almost from the first page I was mesmerised by the story, the characters (especially the protagonist, Kien), and the pain and suffering portrayed throughout. The more I read, the more I reflected on what I knew — or presumed to know — about the war, Vietnam and, in particular, the North Vietnamese. I was being treated to a new perspective. I had always prided myself on trying to view things from all sides, including the other side, on questioning opinions and beliefs when the facts did not bear them out. Yet I had never taken the time to think of what it must have been like to be North Vietnamese during the war. It had never even occurred to me to think of what the North Vietnamese went through, of the death toll of civilians and soldiers. Visiting the Vietnam Veterans Memorial, in Washington, DC, would evoke feelings in me for the more than 58,000 US soldiers killed — as well as for their allies in the south — without a thought for the 1 million North Vietnamese soldiers killed. Nor do I remember ever considering what it must have been like for those North Vietnamese soldiers who survived the war: their physical and psychological injuries; their suffering after the lights went out each night, when memories of pain, loss, anguish and terror would surface. In The Sorrow of War I saw the conflict for the first time through the eyes of a North Vietnamese soldier. Most of the films and books I had been exposed to on the war were from the American perspective. The narrative that had shaped my thinking was one-dimensional, full of misapprehensions, half-truths and hearsay. As soon as I finished The Sorrow of War, I started re-reading it. All of a sudden I became more sensitive to my surroundings. 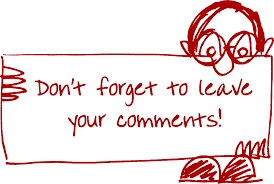 I began challenging my assumptions and presumptions. I recall, on that first visit, taking a trip to Dien Bien Phu in a jeep, driven by a North Vietnamese veteran who was about my age. He wanted to know if I had fought in the war. I told him I had not. The question provoked anxiety in me that would not go away. As he drove on, for hours on end, I imagined what it must have been like for him during the war. My point of reference was Bao Ninh’s novel. I could not stop thinking of Kien, the tragic figure who chronicles his anguish — from his youth to his lost love, from his years as a soldier to his postwar duty of collecting the bones of his fellow soldiers in the Jungle of Screaming Souls. In almost every waking moment during that trip to Dien Bien Phu I could not stop thinking of Kien. His eloquent yet disquieting recollections haunted me. When my month travelling through Vietnam came to an end, I headed back to Phnom Penh. When my work was done, my mind gravitated to Kien. The more I thought of The Sorrow of War, the more convinced I became that it should be turned into a film. American audiences should see this side of the story. Even Vietnamese should see it. The breaking of promises made to those who sacrificed for or fought in Ho Chi Minh’s war of reunification was one of Bao Ninh’s themes. By chance, I had with me a book on screenwriting and thought (naively) that perhaps I could take a stab at it. If only I could track down the author and secure the rights. I was almost certain that the rights would have been sold or given away, but I had to try. I decided to head back to Hanoi in search of Bao Ninh. I assumed he was living in Hanoi, as Kien was from Hanoi. Only someone who has gone through what Kien does could write with such depth, clarity and anguish. As a public defender I had experience in tracking down witnesses. How difficult would it be to find this writer of obvious notoriety? I would use the same methodical approach, of finding a lead and taking it from there. I had given myself three to four days to locate Bao Ninh. Two days into my search, it occurred to me that there must be a writers’ association. Surely if one existed its members would know of his whereabouts. When I found the organisation, I was greeted by a woman who spoke good English. She seemed to be in a position of authority and very much switched on. Though polite, she had a dour look on her face that barely changed throughout our exchange. When I mentioned the purpose of my visit, her expression shifted to a mixture of irritation and impatience. I had obviously touched a nerve. Why are you looking for this Bao Ninh? I told her about the book. I have never heard of him. I do not know this Bao Ninh. If he exists, he is not from Hanoi. I politely insisted that he must be from Hanoi because Kien and many other characters are from Hanoi. Only someone who has lived in Hanoi would know it so well to write about it in such detail. Sorry, but I cannot help you. You will find Bao Ninh at this address. But The Sorrow of War is not very good; it is a poorly written novel of no distinction. The style is not Vietnamese. It is written like a novel from the West, with the plot going backwards and forwards, and all this reminiscing of a pathetic soldier who gets things mixed up and is confused about the war. Bao Ninh is not much of a writer and The Sorrow of War is unpleasing, un-Vietnamese. She wished me good luck and walked away. That same afternoon I went to the address, which proved to be spot on. Bao Ninh lived in an apartment in a complex of countless indistinguishable apartment buildings, somewhat away from the centre of Hanoi. Showing up unannounced, as I had done on my first day in Phnom Penh, I hoped Bao Ninh was home. He was, though I quickly learned that he had given the film rights to his English translator (or at least he thought so). In any event, he was not interested in seeing The Sorrow of War adapted. He looked tired, seemed shy at first and was often lost in thought, but he eventually opened up and we chatted for a couple of hours. Surprisingly, he welcomed the opportunity to talk with a complete stranger about his novel, one of the most influential ever written about the Vietnam War. A classic. The Mekong Review‘s featured interview with Bao Ninh can be read here.